Écuelle ronde tournée, fourth size, plateau ovale, fourth size. Chiné decoration of multicoloured textile pattern. 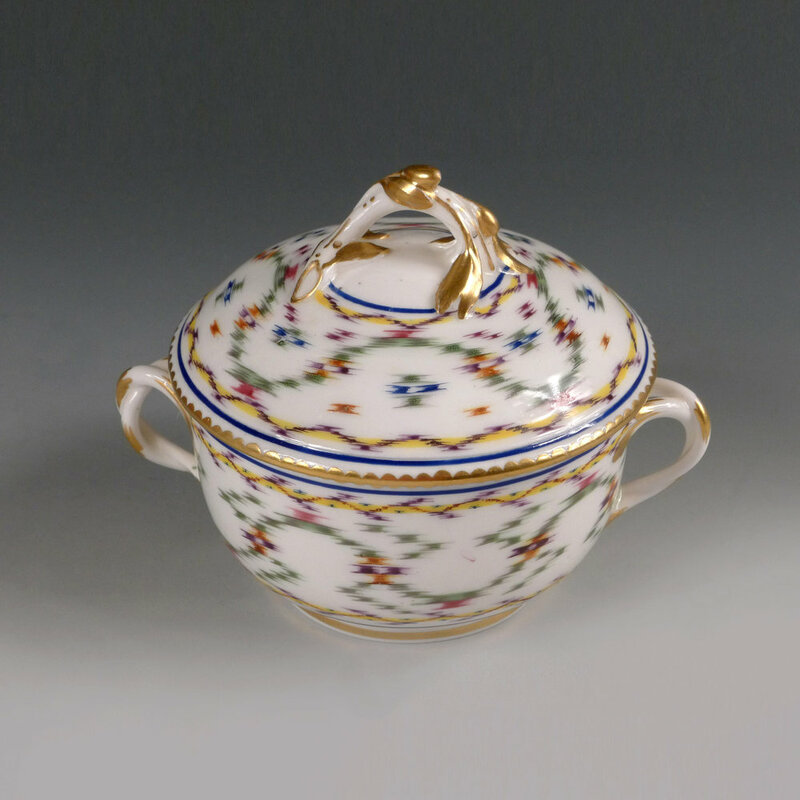 Height 10 cm, écuelle width 12.5 cm, tray 17.9 x 13.9 cm. 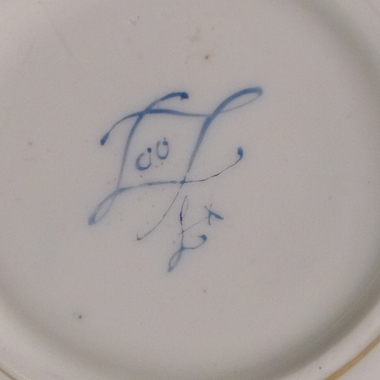 Interlaced Ls, date-letter oo for 1791, painter’s mark fx for Françoise-Philippine Le Grand (active 1781-91, 1793-1801). 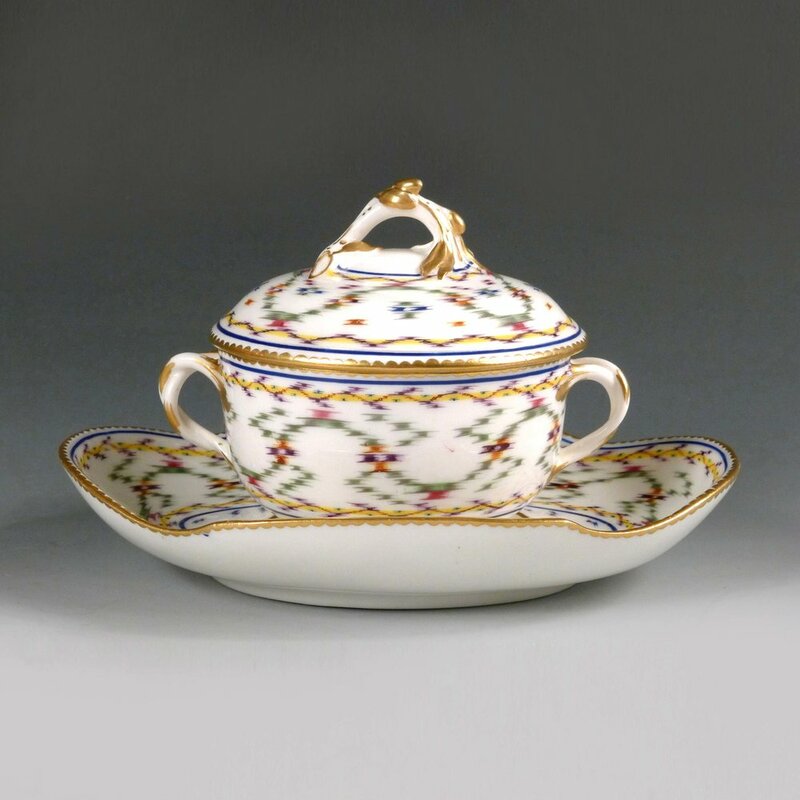 This pattern, imitating chiné silk, was used at Sèvres in 1790-91 for dinner service wares (Peters 91-03). The pattern is called either chiné or flambé. Mademoiselle Le Grand appears in the artists’ ledgers under her maiden name until 1791. In May of that year she painted six ecuelles of the fourth size with chiné decoration. In July 1791 her artists’ ledger entries end with the word “Mariée”. She then seems to have left the factory for two years and reappears in the artists’ ledger in 1793 under her married name of Descoins.